At The Poisoned Pen with P.F. Chisholm and Diana Gabaldon! A word to the wise: if you're going to The Poisoned Pen to see Diana Gabaldon, show up extra early (like 2½ hours) so you can reserve decent seats. There are plenty of restaurants within walking distance if you don't feel like browsing the shelves that long. Personally, I wasn't going there to see Diana Gabaldon, it was the second name on the bill that had me doing a happy dance. P.F. 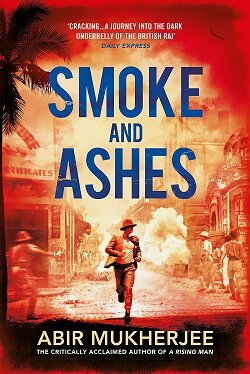 Chisholm writes the Sir Robert Carey novels, one of my favorite historical mystery series, and since she's British and living in Hungary at the moment, she doesn't get over here all that often. Yes, Diana tends to pack fans in whenever she appears, and I can certainly understand why. She writes fantastic books, and she's an absolutely fascinating speaker. P.F. Chisholm is one of Gabaldon's favorite writers, and Diana had asked Barbara Peters if she could be the one to talk with Patricia. (The "P.F." stands for Patricia Finney.) Would you say no? I didn't think so. Neither would I! I thought I would get some reading done before the event started, but I thought wrong. I'd forgotten that Gabaldon tends to bring in very interesting fans-- like the woman who opened an email from The Poisoned Pen, read that Gabaldon was going to be appearing, and decided to hop in her car and drive here. From Texas. We were soon joined by a mother and daughter and a husband and wife, and we all nattered away quite happily. It's getting easier to pick each other out in the crowd, since the wife asked me, "Have you been to Scotland yet?" as they took their seats. Since both women were busy signing books in the mail order room, host and bookstore owner Barbara Peters sat down to talk with us for a few minutes. 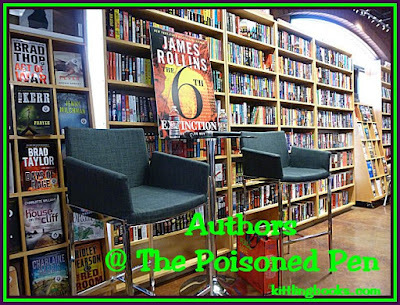 Chisholm is a particular favorite of several authors who visit The Poisoned Pen-- Dana Stabenow, Diana Gabaldon, and Sharon Kay Penman have loved her books for years. 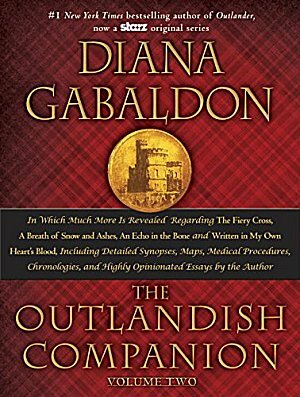 Barbara also told us that The Official Outlander Coloring Book and The Outlandish Companion Volume II would both be available on October 27, and although Diana wouldn't be able to appear at The Poisoned Pen to launch these two books, she would be signing them. Contact The Poisoned Pen for details! 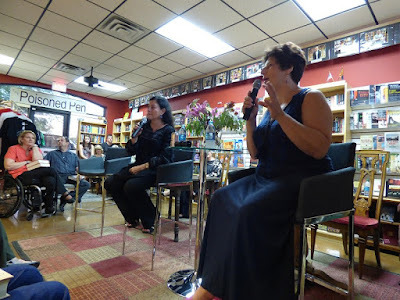 One of my favorite moments of the evening then followed, and I'm going to warn you in advance-- Diana and Patricia are both marvelous speakers, and the two of them should take their show on the road, but since I can't write as fast as they can talk, I couldn't get every bit of wit and wisdom down for this recap. I advise you all if you can to see and hear this event on The Poisoned Pen's Livestream channel. You'll get every last drop of brilliance that way! "Back in about 1988 or 1989," Barbara told us, "we had this woman who was ordering all sorts of weird books about Scotland, and we didn't know why." She stopped for a moment to tell us that they called each other "B" and "D." "One day D walked up to me holding a large book with 'Cross Stitch' on the cover and told me, 'B, I'm going to be published!' My first thought was, 'Oh my God, it's a book about embroidery!' but Cross Stitch is the British title for Outlander. When I asked her, 'What's it about?' the poor woman couldn't tell me. At that time there was no vocabulary for the type of book she'd written. No 'time jump.' No 'time slip.' Can you imagine?" Barbara then told us something that had happened recently. "D emailed me to say that she'd been asked to write a short story. I clicked on the attached PDF file to open it, and it was 75,000 words. I wrote her back saying, 'D, you wouldn't recognize it, but it's a novel!'" 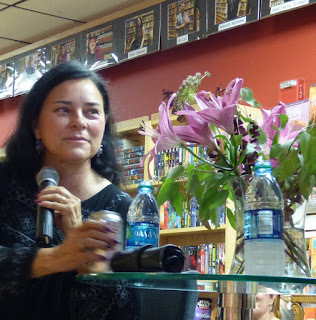 L to R: Diana Gabaldon, P.F. Chisholm and behind the table top, Barbara Peters. Gabaldon began the evening by letting us know the correct way to pronounce her name. It rhymes with "bad to the bone." Ah well, I had it right except for that long O at the end. She really didn't want to spend a lot of time talking about herself; however, she wanted to know what Patricia has been up to. "I'm also learning to speak Hungarian. It is a very different language. The word order makes your mind boggle; the language works more like Korean or Japanese." At a prompting question from Gabaldon, Finney went on to tell us that she's busy writing the next two Sir Robert Carey books. 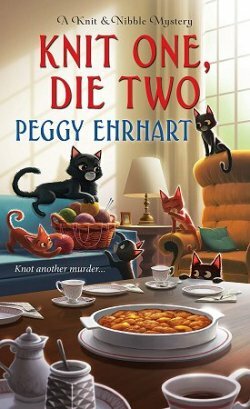 She's finishing one of her Elizabethan spy thrillers, and is putting the finishing touches on the second James Enys mystery, which she referred to as a bit of "Elizabethan noir." Having read a short story she wrote featuring Enys, I'm looking forward to reading the first Enys novel, Do We Not Bleed? Enys is a very interesting Elizabethan lawyer, and if you listen closely to the Livestream event, Finney makes a tiny, tiny slip that may give you a clue as to one reason why Enys is so interesting. "It's the most unusual reason for a serial killer that I've ever read," remarked Diana. A fan wanted to know more about Finney's mother, who didn't know she was Jewish until she was seven years old. "The servants told her," Finney replied, "and I wasn't told until 1998 when my father was dying." "There's always been a legend in my family that they were converso Jews in Spain," Gabaldon said. "I was appearing on a book program for Radio Shalom in Canada and happened to mention that when I was asked about my background. A man in the room said, 'It's more than a legend. My family is from the next village over, and they're all Jews up there!'" "I've always wanted to tell my mother's story," Patricia said. "She turned twelve on April 12, 1945 in Budapest." 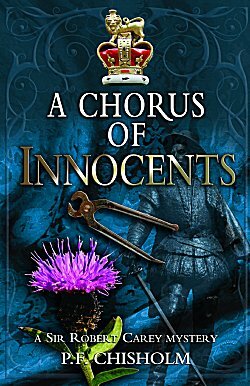 "Tell us a bit about A Chorus of Innocents," said Gabaldon. "The latest Sir Robert Carey book is more about Elizabeth Widdrington, who was in fact Robert Carey's wife," Finney said, "but only after her bloody annoying husband died." "That's what we're all waiting for!" said Diana. "I can assure you he will have a very unpleasant death," Finney continued. "I haven't exactly decided what yet, but I do know that it will be very nasty." Finney then gave us a little information on Carey's background. His grandmother was Mary Boleyn, more compliant sister of Anne Boleyn, and his grandfather was Henry VIII. Carey's father was Henry Lord Hunsdon, who was Lord Chamberlain to Queen Elizabeth I-- a position that was only given to family. Carey's royal connections may have been on the wrong side of the blanket, but they were acknowledged. Carey was Hunsdon's seventh son, so he didn't inherit a bean-- one of the reasons why he was constantly in debt. The toothache he has in A Chorus of Innocents is based on one Finney herself had while on vacation in Greece. Gabaldon praised Finney for avoiding the flowery prose of the times in her books. "I call that 'forsoothly writing,'" Finney said. "One of the things that drew me to Sir Robert Carey was reading his journal and discovering that his own prose style was simple and conversational. No forsooths in sight." Finney stumbled when asked about a book that had been published several years ago. "I have four books in my head right now, and it's driving me nuts. 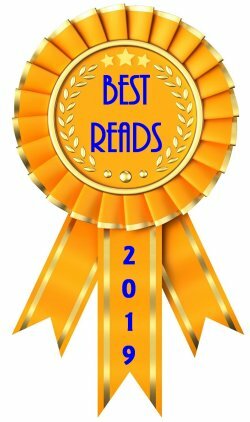 I have to admit that I'm more interested in the books that I'm writing than in books I've already written [a common refrain I've heard from authors], so I have to be reminded by someone who's actually read them!" 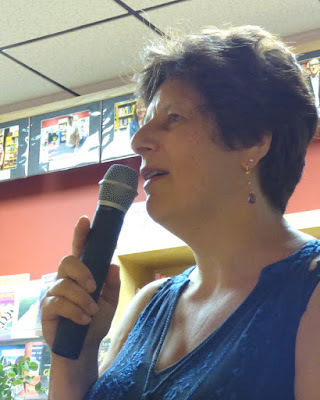 She then told us about "a brilliant idea I had in the middle of a double roundabout in Truro," which led Gabaldon to share a story of driving somewhere and "I just realized that Jocasta Cameron is blind!" Gabaldon's daughter replied, "I don't care. You just missed our turn." "Books can be very dangerous!" Finney exclaimed. Gabaldon asked Finney about how she writes. "I tend to take my characters out for a test run draft to see what works and if it's something I want to do. Once I've actually begun a book, I write in a linear fashion." 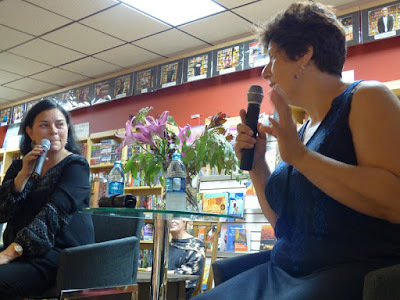 Talk then turned to combining motherhood and writing. "They say you lose two books for a child," Finney told us, "and I think it's true. At least two books! My second book, A Season of Knives, was written in desperate haste in my car around the corner from where my son was with his play group." After receiving permission from her son who was in the audience, Patricia told us that he really didn't like one of the play group workers, who was very bossy. Even though Patricia told him that he had to get along with her, the day arrived when enough was enough. The little boy backed himself into a corner and laid into the bossy worker with a plastic boat. "It took a lot of fast talking to keep Bill in the play group so I could keep writing my book," Finney said. "I'm sorry about that, Bill! Thankfully that worker tended to steer clear of Bill the rest of the time he was there!" Three months after the birth of their first child, Gabaldon's husband left his job to start his own business. This left Diana as the sole support of the family for a time. "I had two full-time jobs and three children under the age of six, so I don't want to hear anyone telling me they don't have time to write a book! "One thing that was to my benefit was that my husband had set up an office in our converted garage that had an outside door so his clients could come and go without entering the house. "In the mornings, I would go out the outer door and around to the office very quietly. Yes, there was a garage door, but the lock was on their side and if they heard me they'd be all over me like a shot. The only bad thing was that at some point in the morning, I would have to sneak out, get into the car, and drive to the mall so I could go to the bathroom!" When asked about writers who have influenced her, Patricia mentioned (more than once) The Steel Bonnets by George MacDonald Fraser, the man who wrote the Flashman novels. "It's about the Border Reivers and one of the funniest historical non-fiction books I've ever read," Finney told us. She also listed Robert Louis Stevenson, P.G. 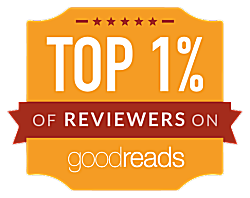 Wodehouse, Dorothy L. Sayer, and John D. MacDonald as other writers who have influenced her. Diana told us that she'd been asked about the possibility of large print editions of her books. "You couldn't lift them," she told us amid gales of laughter. "I have one word for you: eReader!" She also let us know that she'd writing a script for season two of "Outlander" just the night before. "Now that I think of it, I've finished writing two books in the Algonquin Hotel at 6 AM!" Speaking of George R.R. Martin, if there's any other author alive who knows what that man goes through as he's writing, it's Diana Gabaldon. When opened up for questions, one person in the audience asked the inevitable, cringeworthy, question: "When will your next book be out?" Diana Gabaldon has the nicest, politest, putdowns I've heard in a long, long time. "If it follows the usual procedure, it will be out six weeks after I've finished writing it." But the fan wasn't backing down. "Are you in the process of writing it now?" Neither was Diana. "No, I'm sitting here talking with you." To end the proceedings and start forming some very long signing lines, Diana asked Patricia, "Why Sir Robert Carey? Why did you choose him as your main character?" "I've always loved Elizabethan clothes, but as for Carey, when I read that, at the age of 42, Sir Robert Carey rode from London to Edinburgh in two days to tell James VI that Elizabeth was dead and he was King of England, I was hooked! As George MacDonald Fraser once said, Carey was 'the quintessence of Elizabethan England.'" As we folded chairs and looked at the numbers on our slips to find our places in the signing lines, I looked around. Yes, the signing line for Diana Gabaldon was massive. I expected no less. What made me happy was the length of Finney's line-- and several standing in it were holding more than one of her books. As I waited, I asked some of those standing behind me if they'd read any of the Sir Robert Carey books before. None of them had, but all of them said that the books did look good, and-- after all-- Diana had recommended them herself. I added my recommendation to hers even though I knew it meant little to them. But I smiled all the way home, knowing how much enjoyment they had in store for them! Love your post here. Sounds like a good time was had by all. That sounds like it was a wonderful time. I think I may actually have to click on the livestream link and listen. How long are the programs usually available? I'm so close to finishing this blasted first draft that I don't have the time to spare right at the moment. I think they're pretty much available forever and ever. Although I included the direct link to it in my post, another way you can access them is through The PP's website. I'm sitting here looking at one that's 274 days old, and the "Load More" option is still available. Thanks for your lovely, fun write-up. They are so enjoyable. They certainly are! I'm trying to line Patricia up for an interview.